Summer is very close and we have to take care of what perfume I was wearing this season. It is rightly said that the most important accessory is the scent. Today I wanted to talk about the latest summer fragrance for women. 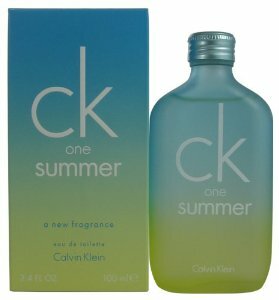 Summer definitely have to wear a scent of summer, you can not wear the same perfume that you had this winter. You should be happy when a new season comes and you have to buy a new perfume as much as when you buy a new pair of shoes. If you use a fragrance for a longer period of time first thing you may notice is that you will feel increasingly less flavor. Here’s another reason to be happy when it’s time for a new perfume. In principle as a rule for the summer – you must have a fresh scent. The offer is extremely varied: water flavors that have a very refreshing citrus flavors that are fresh and relaxing, extremely feminine. – apply perfume on wrists, the neck, behind the ears, the elbows, and behind the knees. Jean Paul Gaultier is in my opinion, a magician, he never ceases to amaze me with his creations of perfume area. Every year comes with something new that surprises me pleasantly. Inspired by spring-summer collection, Classique is “bathed” in the summer heat, surrounded by tropical flavors that stands out in its sensuous curves: notes of mandarin, lemon, rose, orange blossom, jasmine, ylang-ylang, lily, iris, vanilla, musk and amber. It’s a very elitist perfume for ladies in corporate area. It is for women with substance. For the ladies who work overtime but they find time for love. Eternity is a sophisticated and elegant fragrance. If you are a woman beautiful and natural if you do not like shallow matters and pretend then it is clear to you. Delicate, cheerful and very fresh, this fragrance is a citric fruit cocktail, and now that I think I said it all. It opens with notes of mint, lime and bergamot scented and has a core of green apple, rosemary, lotus, all on a base of sandalwood, cork, rum and algae. La Vie en Rose expresses optimism and happiness, strength and grace at the same time. Mandarin and pink pepper gives spicy flavors, while lilies and roses, fragrant delicacy of summer mornings. After the success of Fan di Fendi was launched last year, here in the summer of 2012 brings a new version of Fendi perfume, lighter, more delicate. Notes of pear, tangerine clove and make it more fun and fruity and absolute special bottle design and style. When we say Oscar de la Renta we say femininity and a little romance, also the design of the bottle is absolutely special, very stylish. Inside we find the ethereal flavors, from hyacinth and orange blossom to rose, white amber, sandalwood and cedar. Recently launched it is a marvelous perfume, yes this is the word marvelous. If you love the nature, and nature odor you will love this perfume. It is as a sensual perfume for spontaneous and seductive woman. Of course, because it is inspired by nature its composition is floral-fruity-oriental and provides a blend of cranberry and tonka. 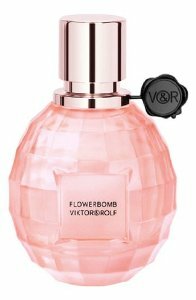 Many ladies are extremely faithful to one perfume for years, there is a trend, many people are fixated on this idea of a “signature scent.” This is not necessarily very bad but have not exaggerated. First, as have said the problem is the fact that you feel less the smell of the perfume, and you get in danger of giving too much with him. Then if you have such a perfume he should be chosen very carefully because I have to cover several seasons and events that you attend. (depends on where you go to a soiree at the job, walk …). Another very important thing you need to mention, I do not know how many of you have thought about how and where you hold your perfume. It should be kept in a cool and dry place and away from heat or direct sunlight. Also when getting rusty it must not be used because it can cause skin irritation. Remember that perfume is the first thing the person you interacting with notice at you. Yes, it feels your fragrance first, and then see the shoes, top blouse and others. So it would be better to strive, even from this point of view to make the correct choice. Apparition of the latest summer fragrances for women means that the summer time has come. Summer means to me besides the sun, loose dresses and skirts, a new universe that we do not find the winter. Means strawberry, cherry, colorful cups with ice cream, walks on the beach, hot afternoons spent in the shade of a tree. Summer is so fragrant with its scent that is very hard to find a scent to match. Summer fragrance that we use has to be so fit so when you you associate with even just a bikini has to become the most terrific accessory. The oldest perfume actually can call them relics, dating back about 400 years. In Cyprus, in Pvrgos were found small bottles of perfume belonging to laboratories.